A metropolis of luxury in the Middle East, Dubai represents progress, multiculturalism, and modernity. 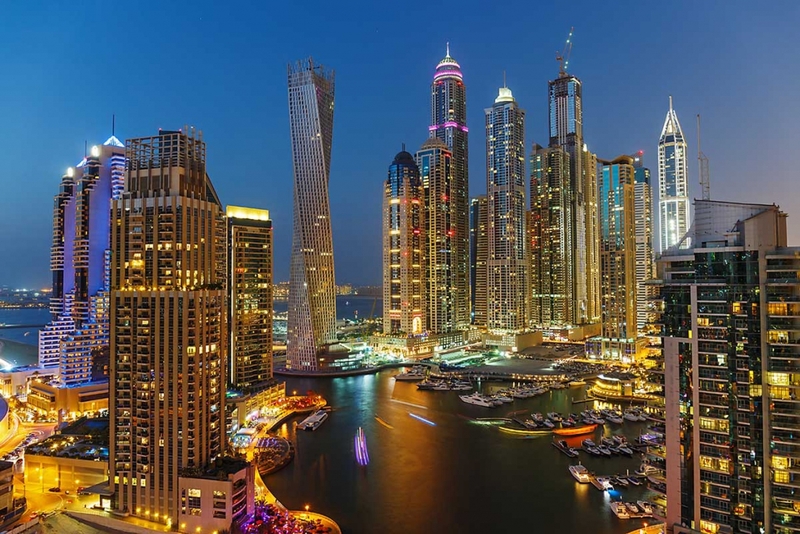 Close to Europe and other major Middle Eastern countries, Dubai has attracted residents and tourists from nearly every region, resulting in one of the world’s most diverse and vibrant populations that welcomes travellers from every culture. Visitors can marvel at the Burj Khalifa, the world’s tallest building, or partake in the lavish shopping and entertainment opportunities available throughout the city. Though, for those looking for a more relaxing stay, they can visit Dubai’s gorgeous beaches and enjoy the satisfying sunshine.